THE FAILURE OF LANGLEY'S AERODROME. 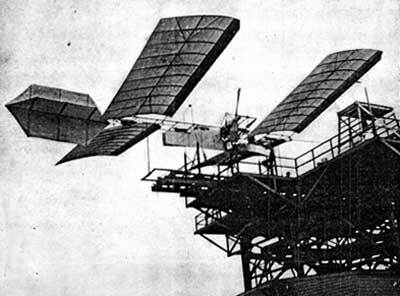 Those who have the interests of aerial navigation at heart will regret the failure of Prof Langley's last experiment, not so much because the aerodrome refused to fly, but because of the adverse newspaper comment which the trial has prompted. 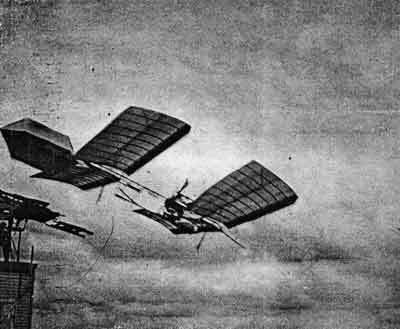 No scientist was ever absolutely successful in every experiment which he has undertaken, least of all is success to be expected in so precarious an undertaking as that of testing the capabilities of a new flying machine. Prof. Langley, despite his failure, deserves his full meed of praise for the earnest attempt which he has made to solve a problem which has puzzled inventors ever since the days of Icarus. He has attacked that problem in no uncertainfashion. This aerodrome of his is the result of years of arduous study and ceaseless experimentation. That it should have failed is to be regarded simply as one step in the solution of the problem of aerial navigation, and not altogether as an abject failure. A few months ago a preliminary trial was made, which proved abortive. Prof. C. L. Manley, one of Prof. Langley's assistants, entered the 60-foot aerodrome, and started the machinery. The aerodrome refused fused to move. The cause was a broken valve and other defects in the machinery. A second trial was no more successful, for, although the engines operated perfectly, one of the propellers flew off the shaft and caused no little injury. The last attempt, made on October 7, had at least the merit that the machine started. The aerodrome slid along 70 feet of elevated track at the rate of 40 feet a second, darted into the air, hovered uncertainly for a moment and then plunged downward into the Potomac. Buoyed up as it was by a number of hollow cylinders, the aerodrome soon arose with its occupant. From all accounts the aerodromeis rather badly damaged. 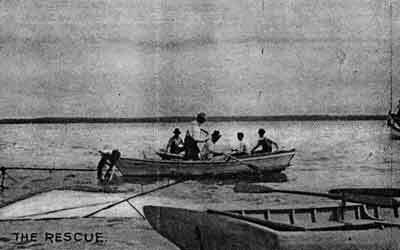 Prof. Manley was rescued by a rowboat. "The machinery was working perfectly and giving every reason to anticipate a successful flight, when this accident, due wholly to the launching ways, drew the aerodrome abruptly downward at the moment of release and cast it into the water near the houseboat. The statement that the machine failed for lack of power to fly was wholly a mistaken one. The engine, the frame, and all the more important parts were practically uninjured. The engine is actually in good working order. The damage done was confined to the slighter portions like the canvas wings and propellers, and these can be readily replaced. The belief of those charged with the experiments in the ultimate successful working of the machine is in no way affected by this accident, which is one of the large chapter of accidents that beset the initial stages of experiments so. novel as the present ones. It is chiefly unfortunate as, coming near the end of the season when outdoor work of this sort is possible. Whether the experiments will be continued this year or not has not yet been determined." The Star states that apart from the main body practically nothing that went to make up the airship as it was last launched can lie made over for use again. 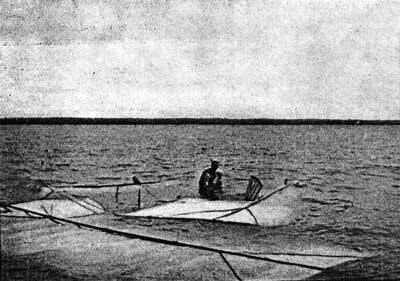 The wings, propellers, and rudder are now masses of threads, rags, and splinters. But fortunately these are the parts which, of the whole, are the least expensive and the least difficult of construction. There are several pairs of propellers now in the houseboat shop. These, however are not of the improved type which Prof. Manley perfected just before the experiment. But it does not require more than three or four days to make a pair of propellers. There are now at least two of the big 22x 12-foot wings in the shop. The work of producing a wing is much more difficult and takes more time than that of constructing a pair of screws. The same is true of the rudder. The photographs presented herewith are reproduced through the courtesy of the Washington Star. Originally appeared in Scientific American, 89, October 17, 1903, p. 272.